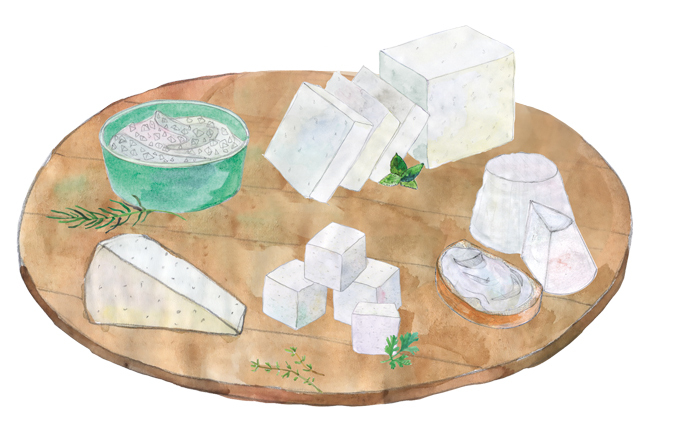 Feta has been an essential Greek cheese for centuries. 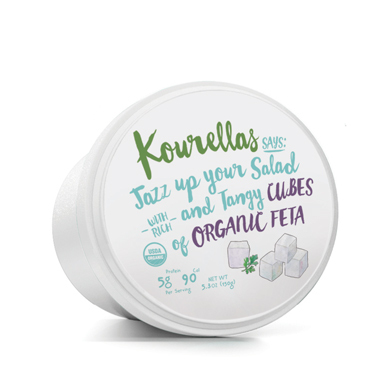 Made with pure sheep’s milk, or a combination of sheep and goat’s milk, our creamy feta, plain or combined with herbs and vegetables, is a healthy addition to your diet, any time of day. 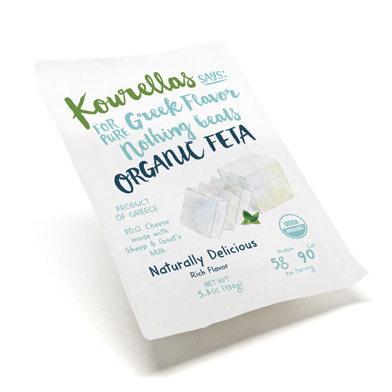 At the Kourellas family dairy, we believe good food is the secret to a healthy life. 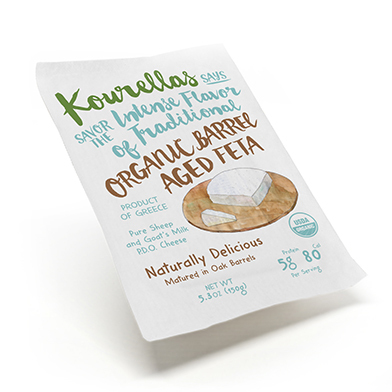 That’s why we’ve been making our organic Greek barrel aged feta the traditional way since 1996. 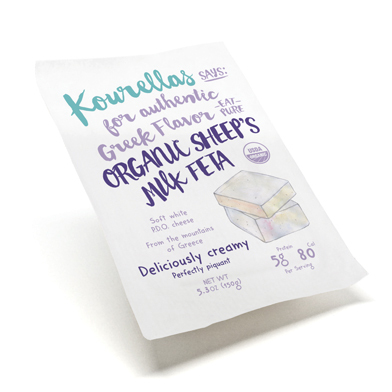 Ingredients: Pasteurized organic sheep’s milk (70% Min) and organic goat’s milk (30% Max), Natural sea salt, Rennet, Lactic acid culture. Fat Cal. 70, Total Fat 7g (9% DV), Sat. Fat 5g (23% DV), Trans Fat 0g (0%DV), Cholest. 30mg (9% DV), Sodium 280mg (11% DV), Total Carb. 0g (0% DV), Fiber 0g (0% DV), Sugars 0g (0% DV), Protein 5g (9% DV). 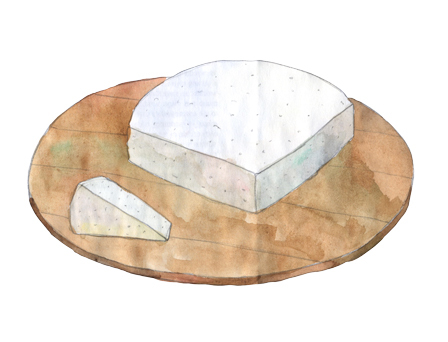 Vitamin A (2% DV), Vitamin C (0% DV), Calcium (14% DV), Iron (0% DV). Percent Daily Values (DV) are based on a 2,000 calorie diet.